known known as the Cameronians, MacMillanites and Reformed Presbyterians. 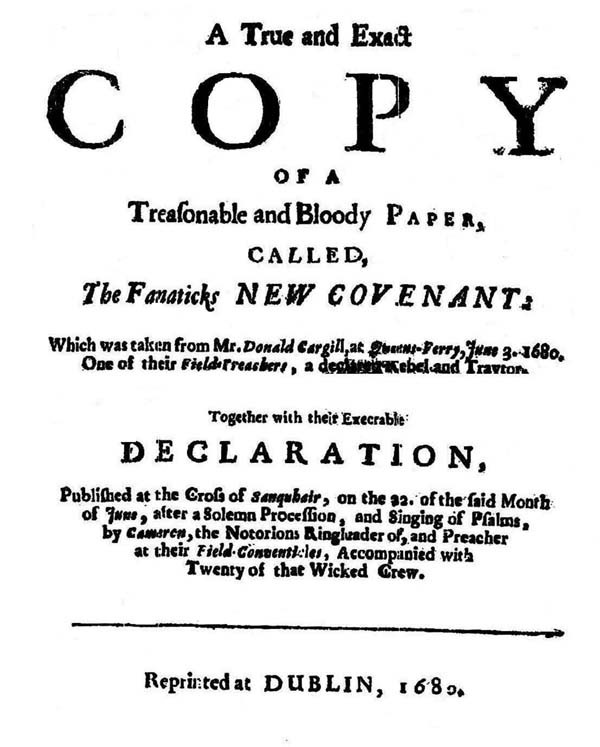 Declaration at Sanquhar which was made shortly after on 22 June 1680.
and New Testaments to be the rule of faith. remove those who had forfeited authority. and worship, as an independent government. overthrow the kingdom of darkness, ie Popery, Prelacy and Erastianism. discard the royal family and set up a republic. decline hearing the indulged clergy. refuse the ministerial function unless duly called and ordained.